Here's a few moments from Westport's Natural Gas Now! event held at our Louisville, Kentucky Integration Center on March 19, 2013 as well as images captured from another great Mid-America Trucking Show! 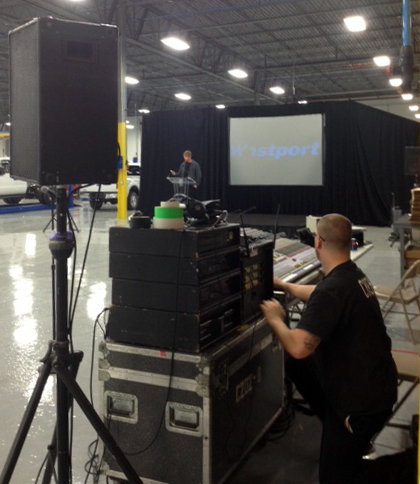 Westport's team sets up the AV system before the event. Getting washed and shined in the Kentucky sunshine. Visitors touring Westport's Integration Center for the first time. Westport's Ian Scott receives the Heavy Duty Trucking Top 20 Award from Bill Madden. making natural gas fueling for trucking a reality! in front of the Cummins Westport ISX12 G which recently received 2013 U.S. EPA Certification. 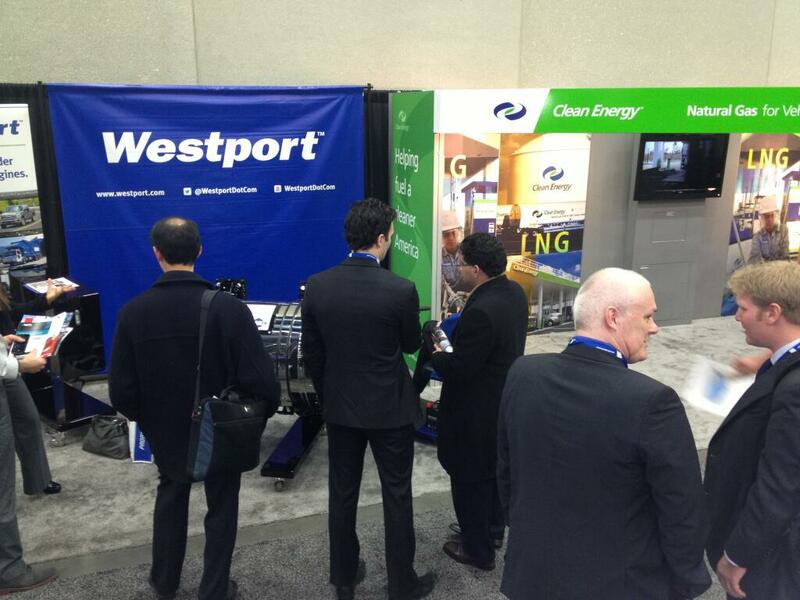 Westport is the global leader in natural gas engines to an attendee. featuring the CumminsWestport ISX12 G.
Westport team members Heather Merry, Nicole Adams and Caroline Santoso with a Peterbilt 384 powered by the new Cummins Westport ISX12 G.